Weighty Matters: Successful Proof of Concept for an Obesity Vaccine?! Successful Proof of Concept for an Obesity Vaccine?! File this under weight is a complex amalgam of dozens, if not hundreds, of individual, environmental and societal contributions as here is a proof of concept paper that, at least in mice, speaks not only to a viral contributor to obesity, but also to a vaccine for same. 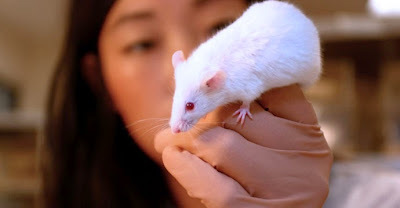 In the study mice were either injected with either a vaccine derived from purifed AD36 (a virus shown to contribute to weight gain), or with saline. Both groups of mice were then exposed to the live virus. The results were dramatic. 14 weeks after exposure to AD36 the vaccinated mice were 17% lighter than the saline injected controls. While the translation of mouse research to clinical human utility is statistically speaking, hugely unlikely, it doesn't make this study's results any less fascinating.